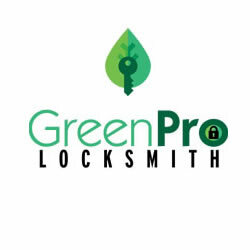 Welcome to GreenPro Locksmith, a locksmith company in Atlanta that deliver exceptional services to its local community. Our priority is in keeping your home, business and automobile secured to enable you to face other things that matter. Our comprehensive locksmith services were designed to provide superior, reliable and responsive residential and commercial locksmith services that are competitive and affordable. Call us now at 404-609-1773 to schedule locksmith in Atlanta area. GreenPro is a certified and duly registered, we are the only locksmith service company in Atlanta that delivers 24 hour/7 days services without additional charges because we have trained and experienced locksmith that are standing by to render unequal and effective service. We are dedicated to minimizing the rate of crime in Atlanta and its environs by installing sensitive hardware and keys at your door. Reliability, friendliness, effectiveness and fast turnaround time are some of the qualities that give us added advantage over our competitors. Our incredibly fast service is one factor that makes our former clients recommend us to their buddies, coworkers, and family. In addition to that, our locksmiths are highly dependable and skillful. We are trained to honestly access the situation and give you right quote considering your budget. The safety of our clients is our topmost priority, and we do not discriminate against gender or race in delivering our services. At Green pro, we have all the qualifications to ensure that our clients can successfully get their claims from insurance companies if there is a forceful break-in. We encourage our clients to check our records, and before rendering any service, we will ask specific questions to ensure the caller is the owner of the property or vehicle. Any locksmith assigned to resolve your lock challenges are highly equipped and trained to handle any lock challenge he may face on the field without calling on backups. We are ready to provide data of previous clients we have worked for so you could conduct an independent verification. Entrust the safety of your home and business to us to get excellent services that are unmatchable in Atlanta. Our 24/7 locksmiths carry professional locksmith tools and products so they could assist you even in the middle of the night. Saves installation, locks picking, master keying and lockout services are covered. Give us a call regarding a free estimate, and we will find a locksmith solution for you. Locksmith Atlanta has many helpful services available. We can help you unlock your car or home and install or repair existing locks. You can also ask a locksmith to duplicate keys, copy or create a new key to suit your needs. Also, we offer commercial service for businesses and offices. Satisfaction is guaranteed! Call today!